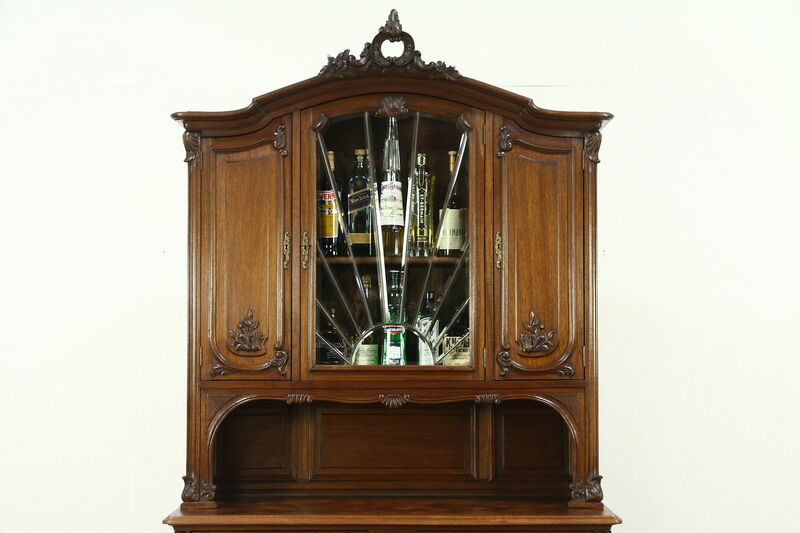 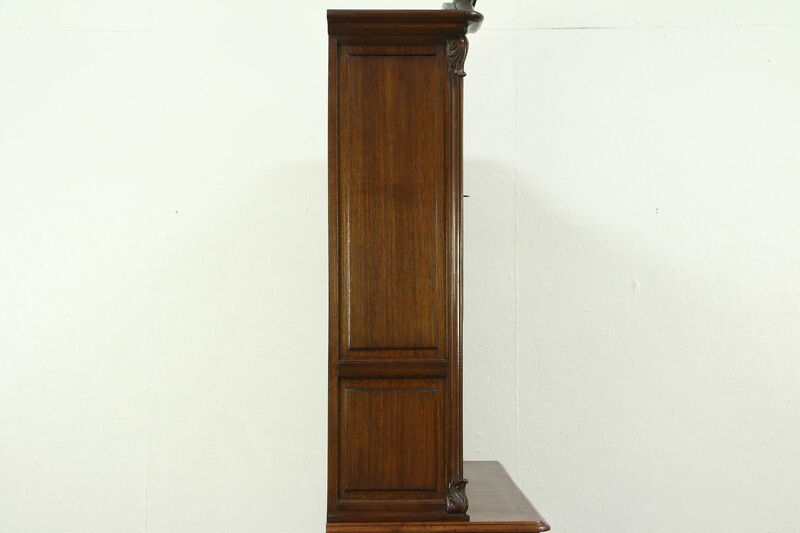 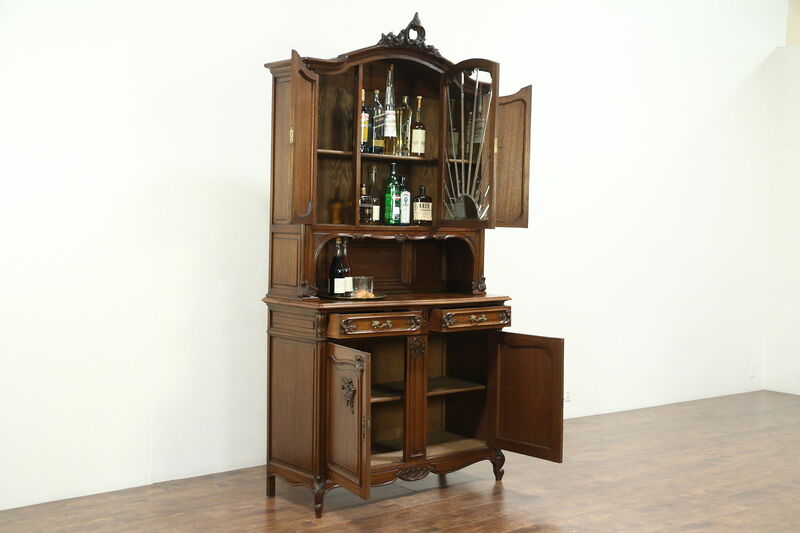 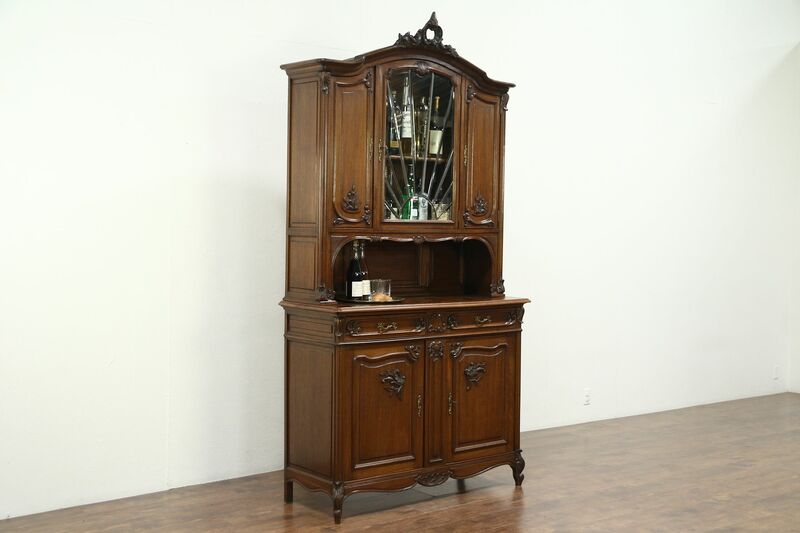 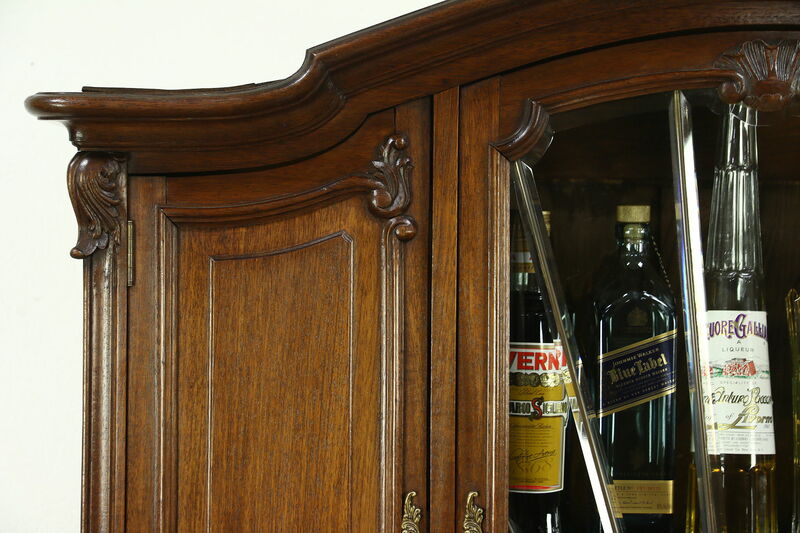 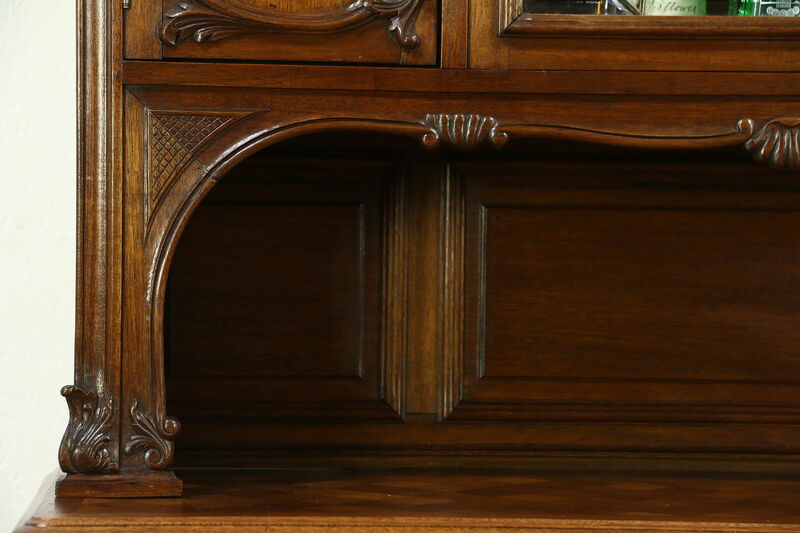 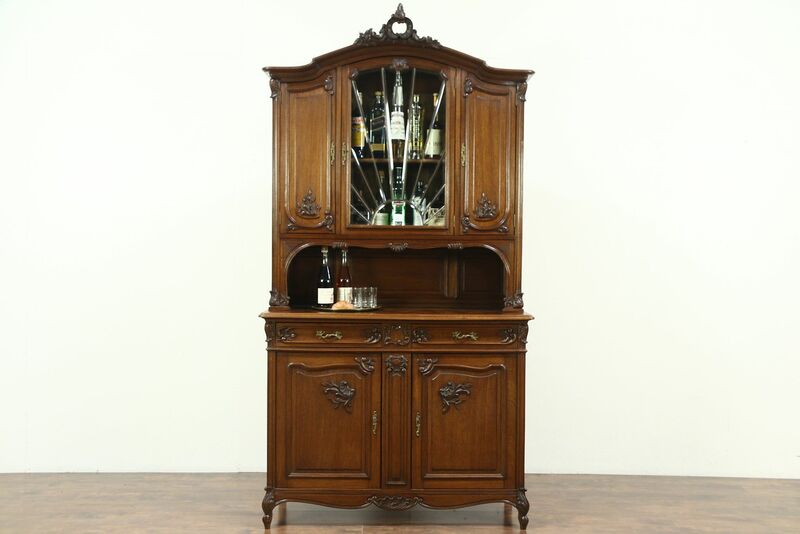 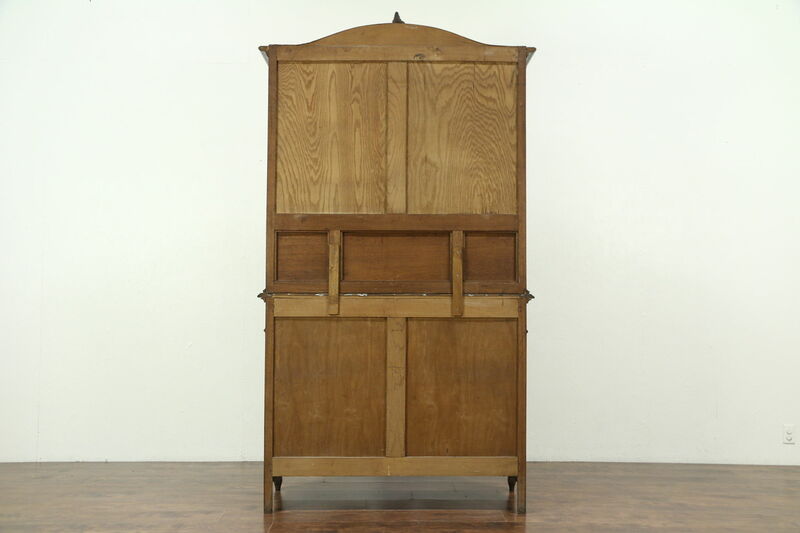 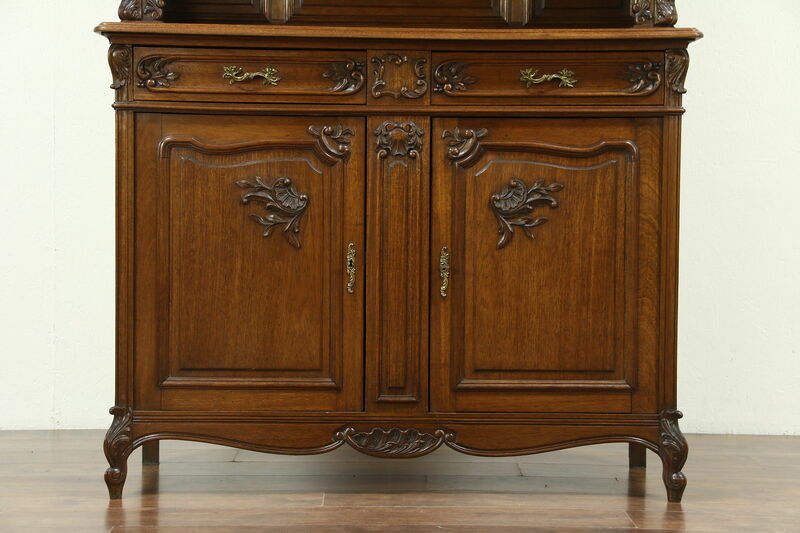 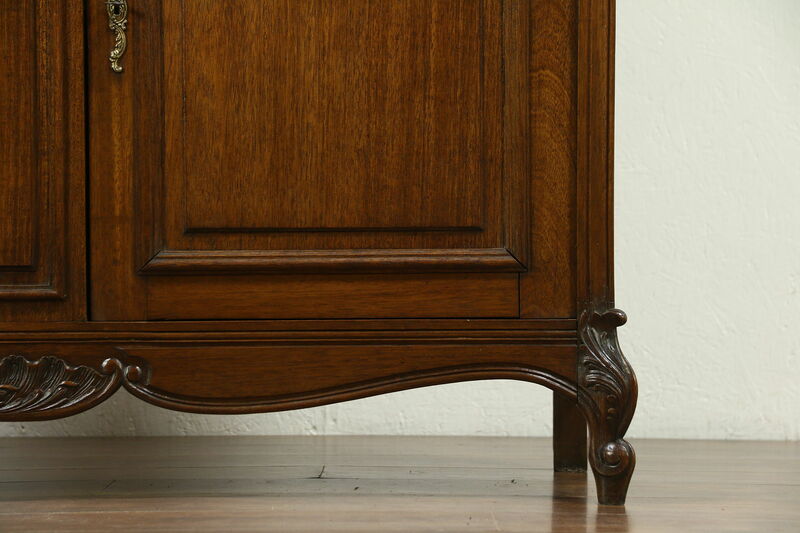 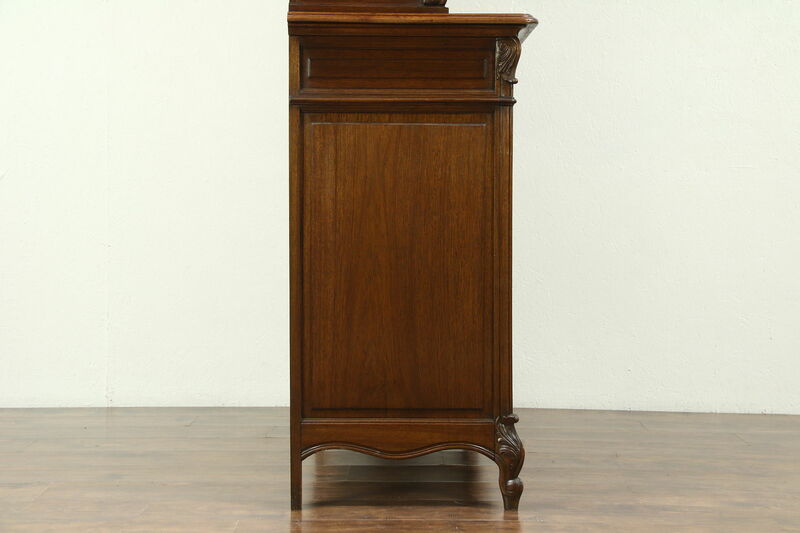 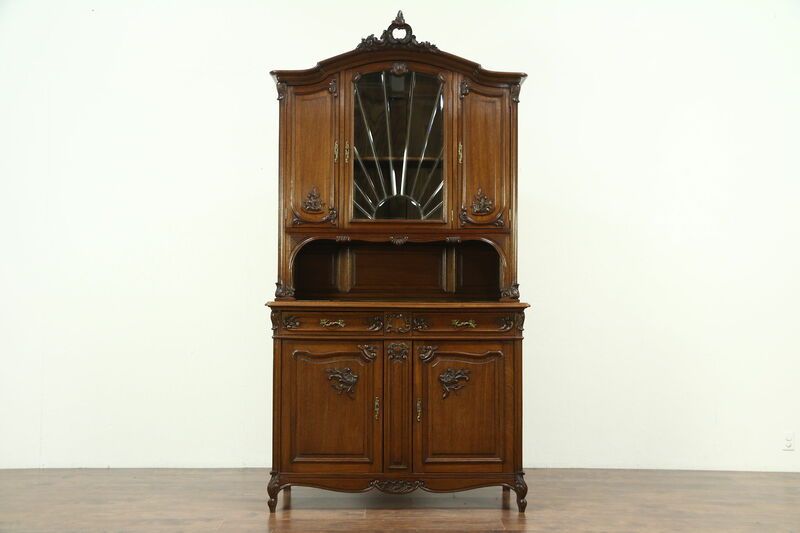 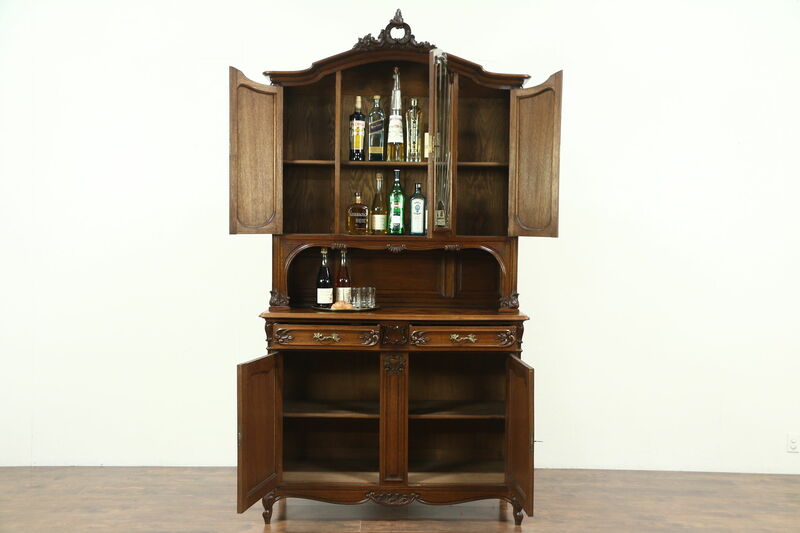 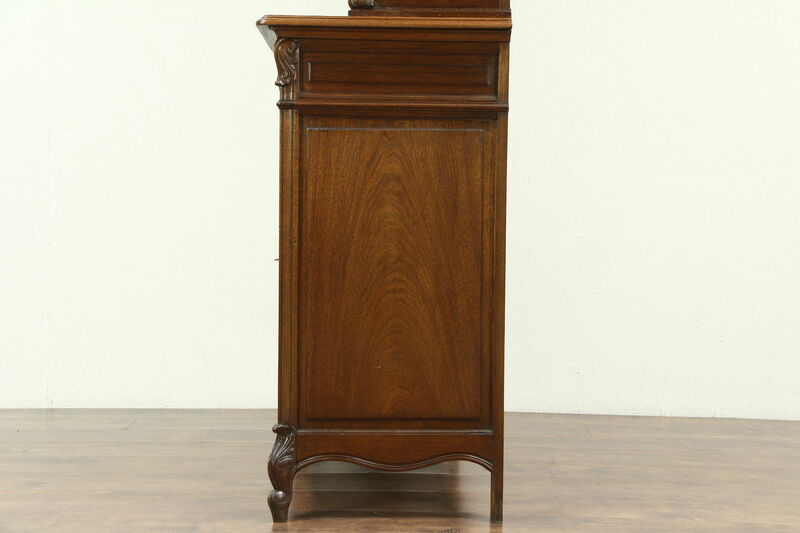 A French combination sideboard or server and china cabinet was hand carved of solid walnut about 1900. 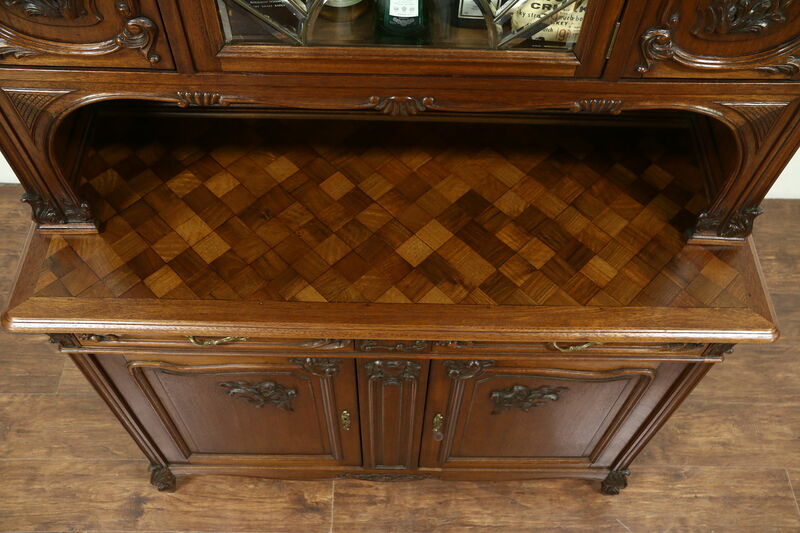 The top of the base inlaid parquet, the removable upper cabinet has a hand leaded beveled glass window. 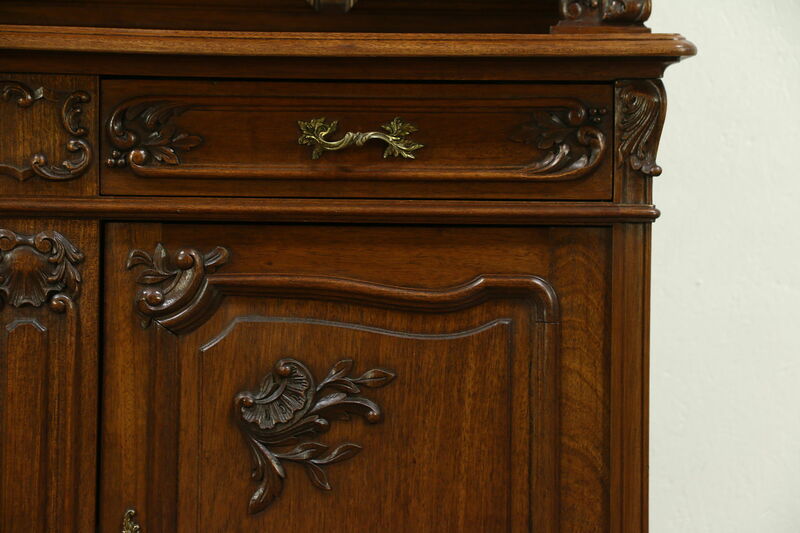 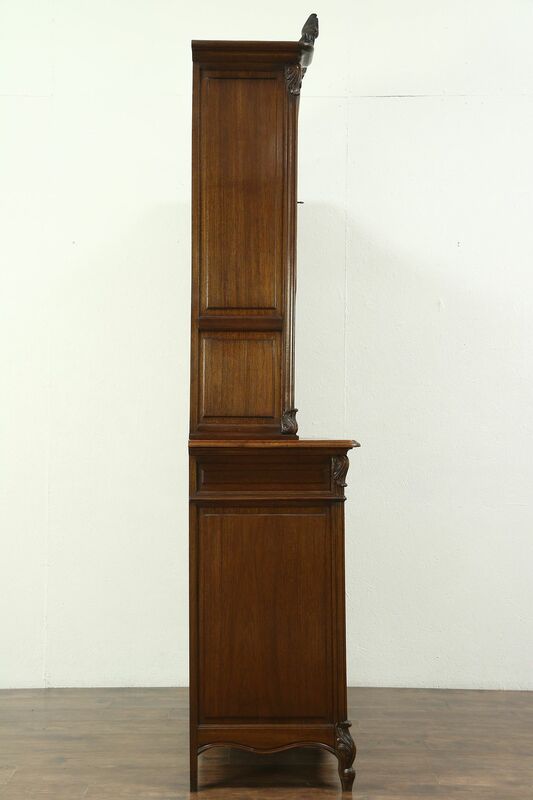 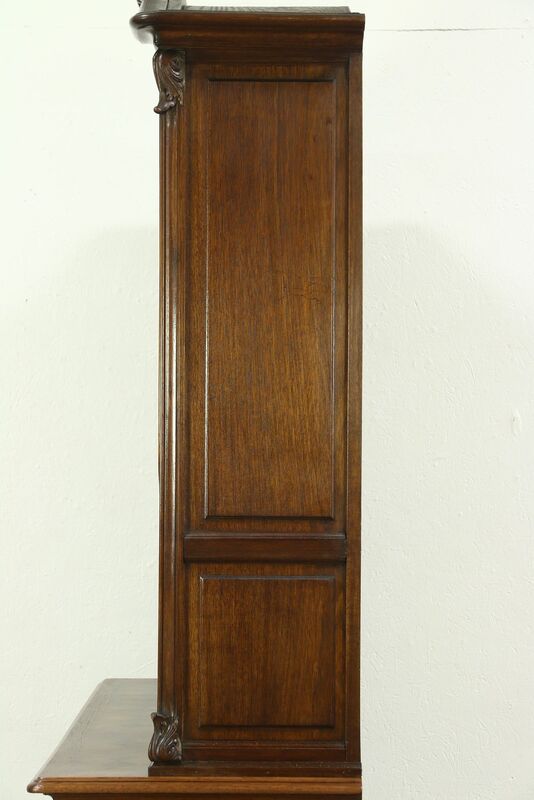 The top of the base is revarnished for durability, the rest of the original finish is very well preserved. 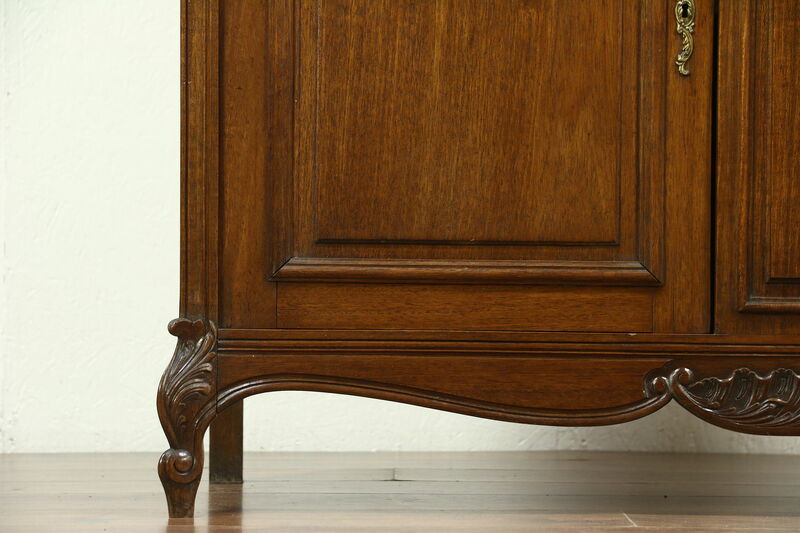 Waxed and buffed, all that is needed to maintain the warm patina is an occasional wipe with a soft dry cloth. 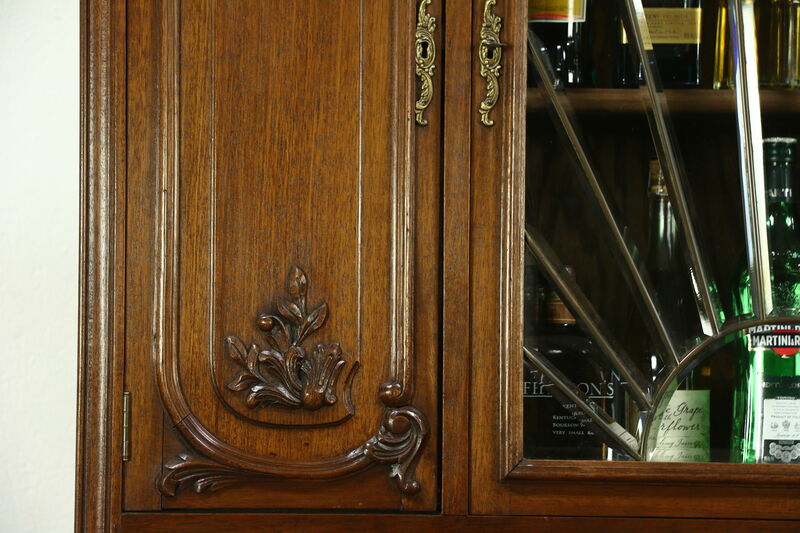 There are warps from age, see photos. 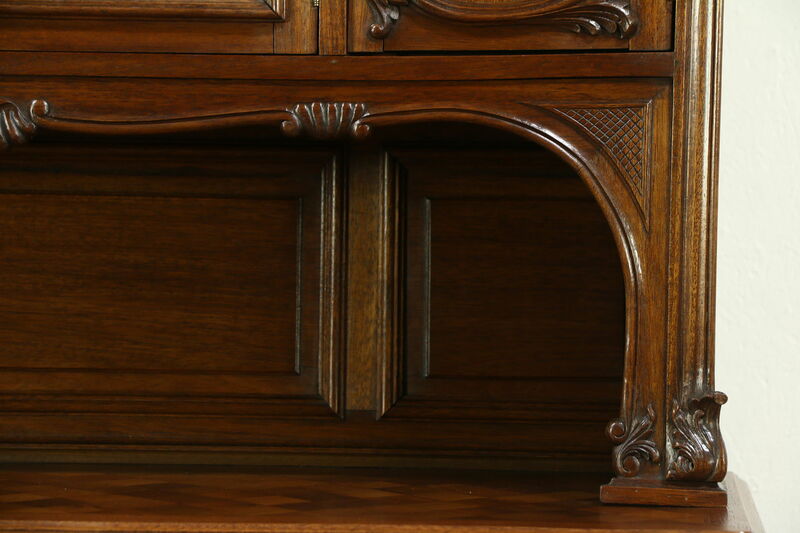 Drawers have hand cut dovetail joints, hardware is original and locks work. 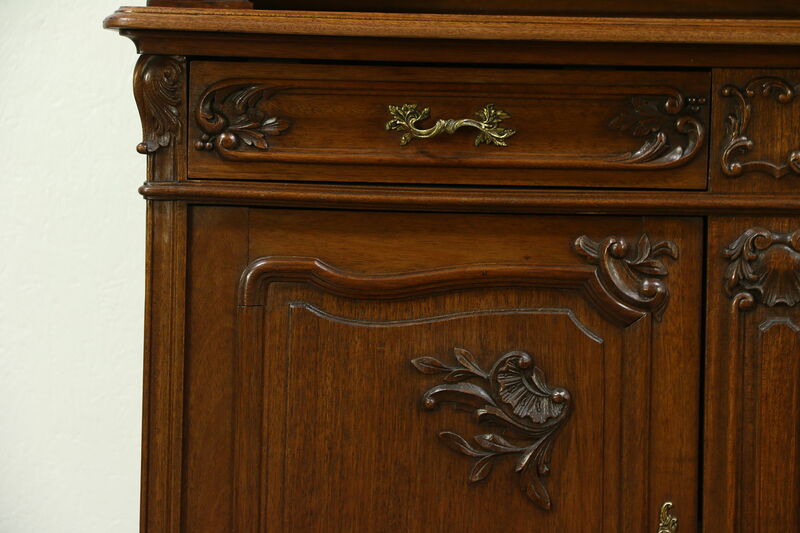 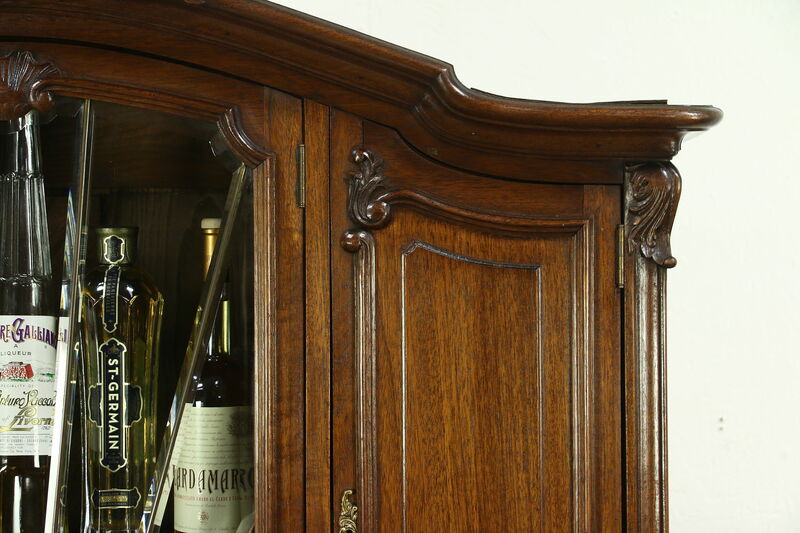 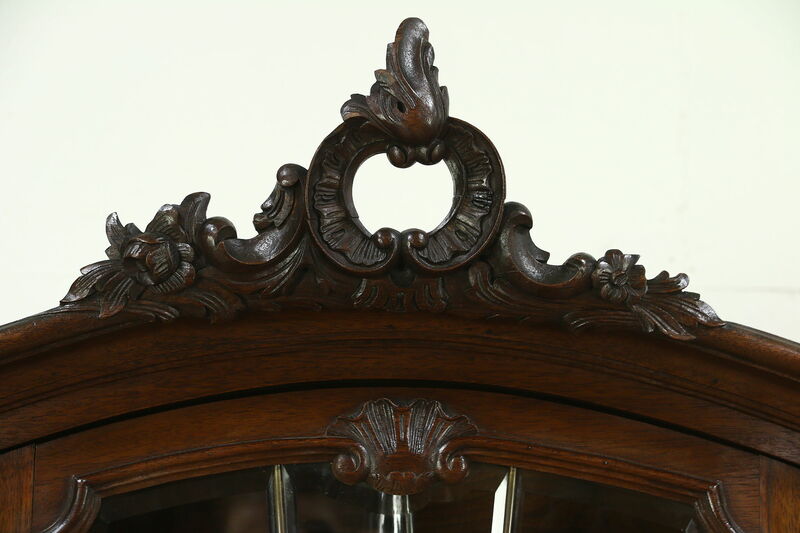 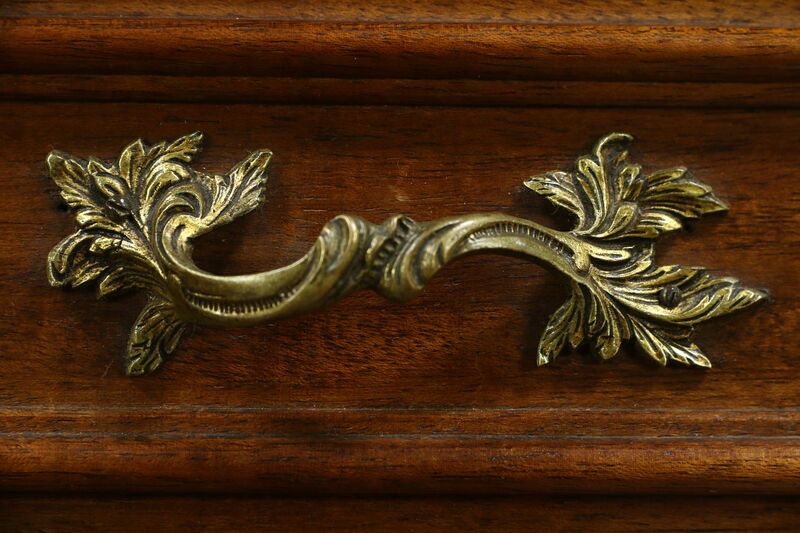 Raised panels and hand carving are artistic on this antique furniture. 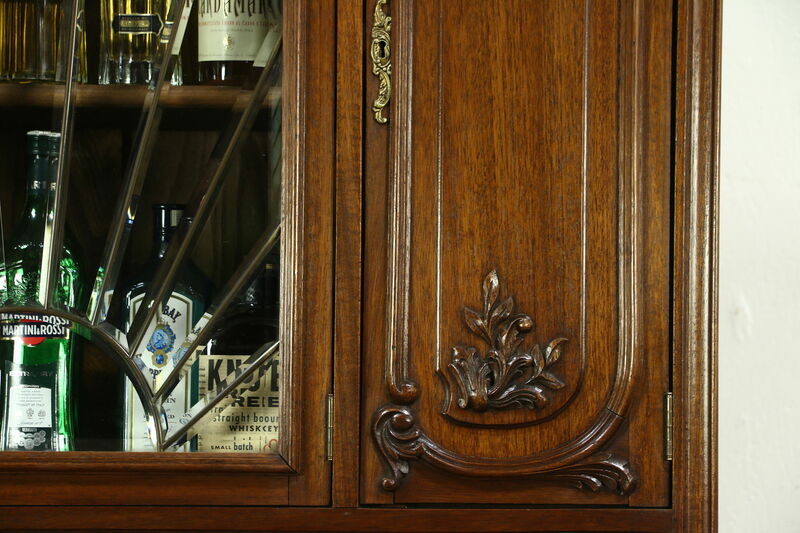 The leaded glass has a little flex. 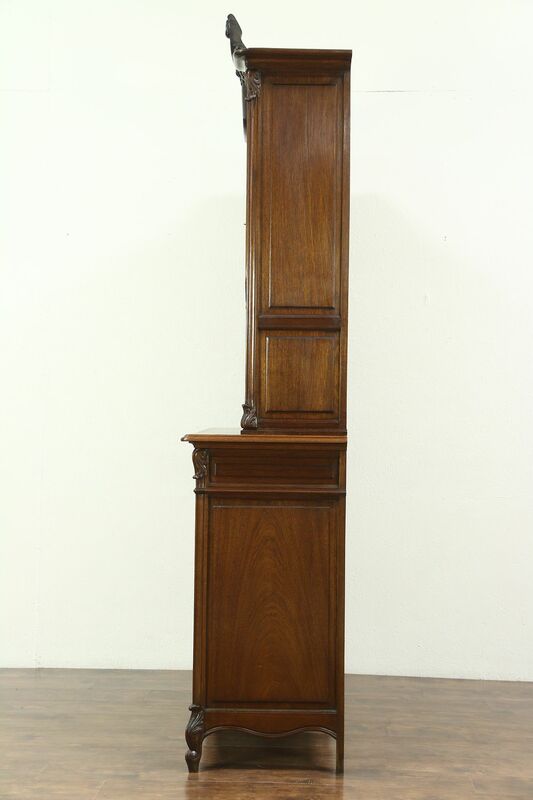 Measurements are 52" wide, 20" deep and 98" tall, the surface area is 40" tall.